Self defense courses are a product and a method targeting women of all ages. Its purpose is to provide our customers the ability to defend themselves in case of and assault. Target audience: Women of all ages.The course: Self defense for women. The course will continue through a period of 8 lessons, while each lesion will deal with a different topic. The customer can join at any stage. We teach Tactical Defense, Personal Bodyguard, Light Weapons, Anti-terror, Guerilla, Intervention and Entry to different Law enforcement, special army and security units. We have trained The Israeli correction officers, the Shin-Bet, Law enforcement officers, NYPD, anti-terror and martial artists from all around the world. 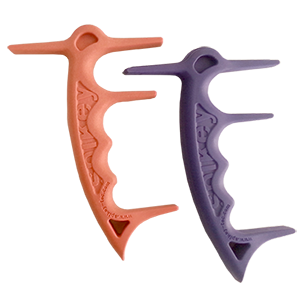 The SPIKEY™ is a self defense tool that can be used quickly and efficiently by anyone. 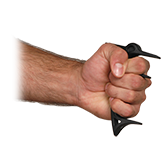 The SPIKEY™ technique is a self-defense technique and “real life” proven methods to on how to perceive dangerous situations and how to react effectively under stress. Spikey is one of the best gifts a woman can buy for herself. It made me feel more secure and gave me piece of mind. 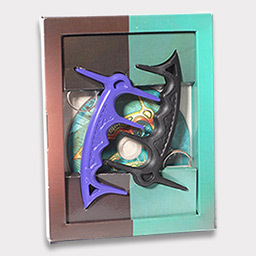 I really enjoy practicing self-defense with it. I recommend it to every woman, young and old. The Spikey self-defense training class for female soldiers was excellent. 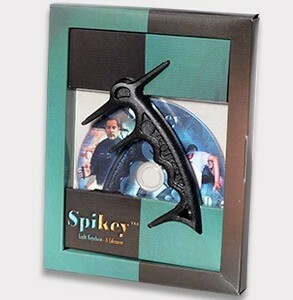 Many soldiers have expressed their interest in Spikey and the special tactics for using it when engaged in a struggle. I highly recommend the Spikey training class for all of our female soldiers -- whether they are in combat or non-combat units. 30 minute training instructions suitable for all levels. Advanced compliance techniques for law enforcement and security professionals. Drills and illustrations to maximize effectiveness.